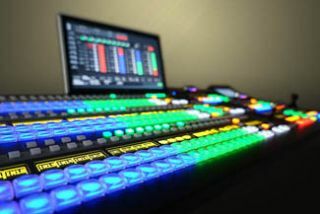 For-A is now shipping its newest video production switcher, the HVS-2000, which made its U.S. debut at the 2015 NAB Show. The switcher is designed for houses of worship, corporate facilities, government agencies, broadcasters, and educational settings. Austin, TX-based Omega Broadcast Group, a professional video sales, rentals, and services company, is among a group of companies already using the HVS-2000 switcher. "The HVS-2000 offers numerous features that greatly benefit our customers, including its virtual M/Es, which allow a regular aux bus to be a fully functional M/E with cuts, mixes, wipes, and keys, all with preview," said David Fry, vice president at Omega Broadcast Group. "Its Power Macro feature allows operators to create up to 100 events, and the switcher offers four multi-viewers with up to 16 inputs per screen. "Omega Broadcast engineered the first 4K live stream here in Austin earlier this year at SXSW, and we're also using the switcher in other 4K environments, such as medical and military productions, as well as regular broadcasts that are captured in 4K and down-converted to HD for current release."